Summer is almost over, but not yet! And when you’re in a place as beautiful as the evergreen city of Olympia, you’re going to want to get outside. Sitting at the southern end of Puget Sound, where the Deschutes River meets saltwater, and the slopes of Mount Rainier rise in the background, Olympia is truly a place to relish in Mother Nature’s charm. If you’re looking for some fresh and inspiring ways to get outside this summer, here are 7 of our favorite outdoor activities in Olympia. This state-protected land, located just 20 minutes south of Olympia, is distinguished by its large concentration of grassy knolls known as Mima mounds. Composed of loose, gravel-like sediment and averaging about 6 feet in height, the mounds are a surreal sight, whether you’re observing them from ground level or from a bird’s-eye view. Of course, the only thing more compelling than their funky, bubble-like appearance is the fact that scientists still aren’t exactly sure how they were created. Are they Native American burial grounds? Are they giant gopher dens? 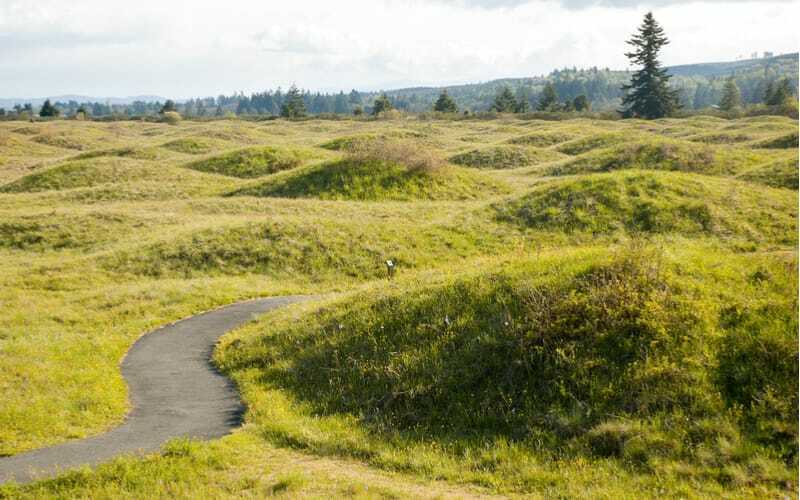 Just what created the grassy acclivities known as Mima Mounds Natural Area Preserve has remained a mystery throughout the years. Geologists, scientists, and conspiracy theorists alike have since developed several dozen hypotheses, including glacial freeze-and-thaw cycles, erosion, the interplay between wind and vegetation, an earthquake or two, a tsunami, and even a volcanic eruption. Whatever the answer, the Mima Mounds Natural Area Preserve is a great place to get outside while the sun is shining, especially as the wildflowers are in full bloom. 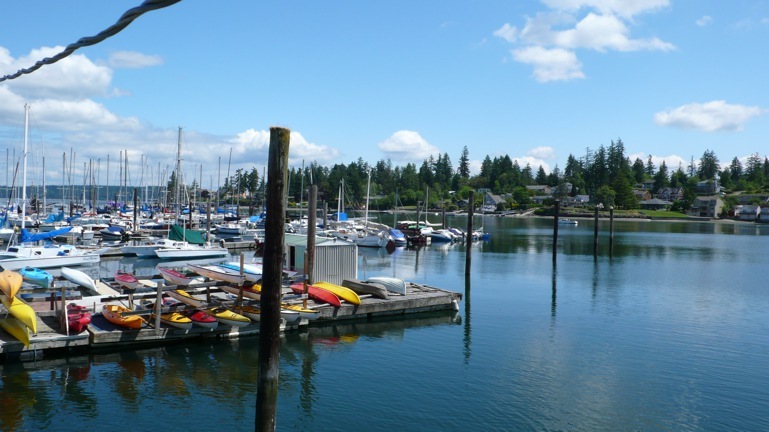 Stroll along the boardwalk of Olympia’s Percival Landing with this eclectic farmers market as your destination. Or, if you feel like riding the waves, you can even get there by boat. 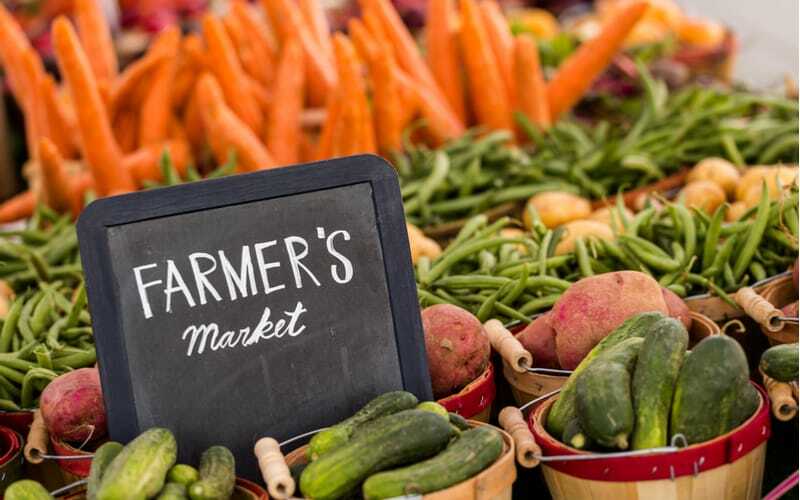 The Olympia Farmers Market is the second largest farmers market in Washington State and a favorite community gathering place for locals and visitors to support and promote healthy eating, scaly grown foods, small farmers and producers, and sustainable local agriculture. From its modest beginnings in 1975, there are now more than 100 vendors at the market who provide regional produce, crafts, and food. Locals and tourists alike come down to the market for the wide variety of goods and the festive ambiance, but everyone has their favorite reasons. The market also has some of the best free music in town, and there are actual farmers tending the organic produce they plucked from the earth that morning! It’s a great place for consumers to meet the people who make their food, to exchange ideas, and to get to know each other in a beautiful outdoor setting. Whether you’re camping, boating, hiking, camping, or even glamping (yes, that is a thing there! ), Millersylvania State Park provides a wonderfully wooded retreat. 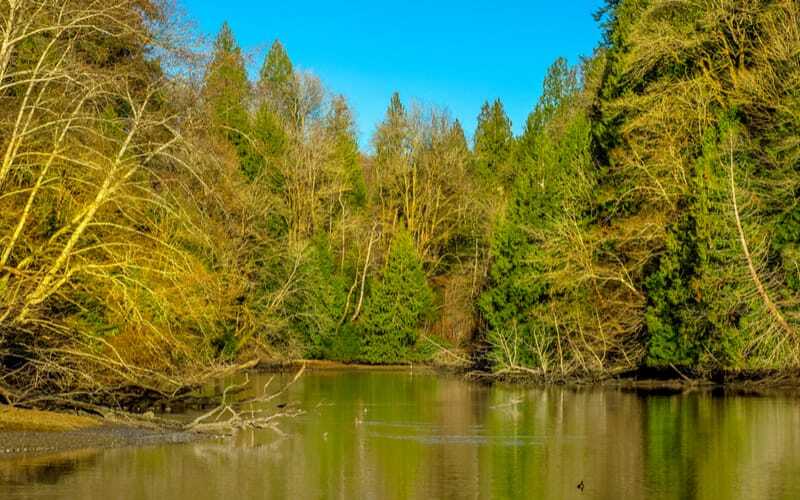 Located just a few miles south of Olympia, Millersylvania is 842 acres of majestic old-growth Cedar and Fir forest and has 3,300 feet of freshwater shoreline along the beautiful Deep Lake. Its origins date back to 1921 when the Miller family gave the property to the state. Many of the park’s structures were built almost entirely by hand by the Civilian Conservation Corps (CCC) in 1935, making the park a great place to see and admire the artisanship of that era. This historic gem now boasts all types of fun in the sun for everyone. Spend a summer day splashing in Deep Lake. Gather everyone together and make meals as well as memories in one of the historic kitchen shelters. Take a peaceful walk through the wetlands. 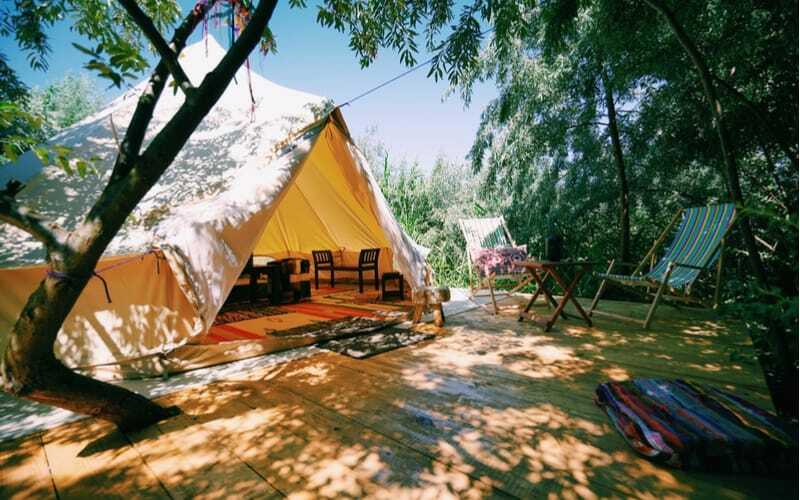 You can camp out with your tent or RV or even plan a luxury overnight in one of the park’s glamping sites. With a few swimming beaches, miles of forested hiking and biking trails, abundant fishing, and water activities galore, Millersylvania will have you reluctant to go back inside. Aside from spending another summer day outside in gorgeous Olympia, there are a number of benefits to berry picking with your loved ones. First, there are the practicalities— the break in price point, for instance, and the quality control benefits of personally hand-selecting each berry. And while these are certainly valid factors, the main draw is emotional. Most of us probably remember going berry picking for the first time as kids and that sense of pride we had when we had “helped pick” the berries in Grandma’s jam. And parents get to essentially teach their children the important lesson of where food comes from. 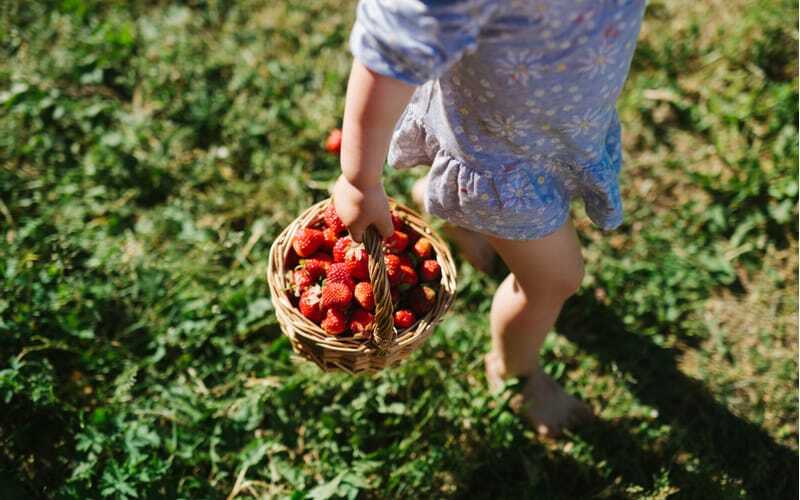 Going to a farm to get your produce is a great way to teach your kids that berries don’t come in plastic containers from the store, that they are grown from the earth. So go out and get your fingers dirty this summer and try a freshly picked berry right off the bush. Eat them fresh; can them; make syrup or jam. Olympia is your haven for berry picking. * For strawberries and raspberries, Spooner Berry Farms and Pigman’s Organic Produce are our favorites. If you’re more in the mood for blueberries, head to The Black Lake Blueberry Farm or Friendly Grove Blueberries. Happy picking! Visitors from all over the world come to Wolf Haven International, making us extra lucky to have this truly one-of-a-kind facility in our backyard. It is a nationally recognized wolf sanctuary that has rescued and provided a lifelong home for more than 250 displaced, captive-born animals since 1982. Guided hour-long walking tours offer visitors a rare, close-up view of wolves. 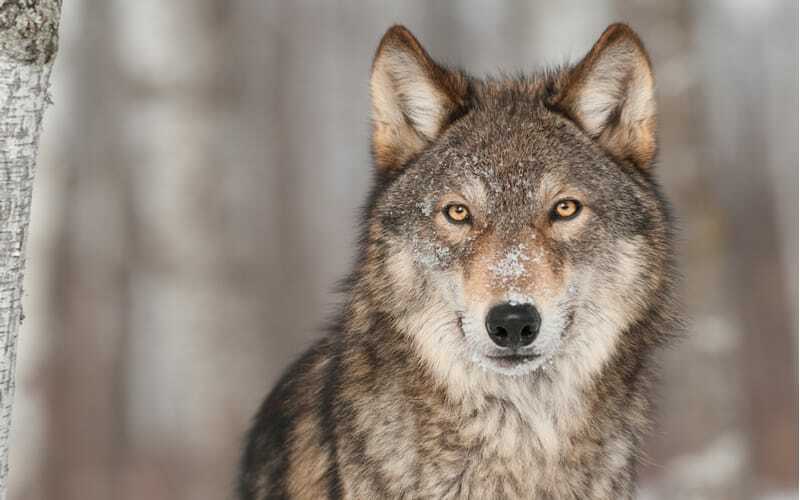 WHI provides a variety of educational programs, informing guests why wolves are still considered an endangered species, and why reintroducing them into the wild has been such a controversial topic. There are more than 50 resident animals at Wolf Haven, but only 9 pairs are part of the sanctuary visit. Because wolves live in packs and mate for life, each enclosure at the sanctuary houses one male and one female. Each animal has a unique story, but all were born in captivity and most were privately owned before coming to Wolf Haven. According to their mission, rescuing captive-born wolves from roadside attractions and living life alone in a cage is the most important part of what they do at Wolf Haven. At Wolf Haven, they are able to provide them with proper care and companionship. Their passion for educating the public about the role wolves play in the ecosystem is evident and contagious. After your tour, explore the Wolf Haven prairie, adjacent to the sanctuary. Exploring the hidden tangles of roots and branches under that magnificent grandfather tree across the field is the perfect way to end your inspiring day. You’ve probably heard by now that lavender has an array of cosmetic, health, and wellness benefits. 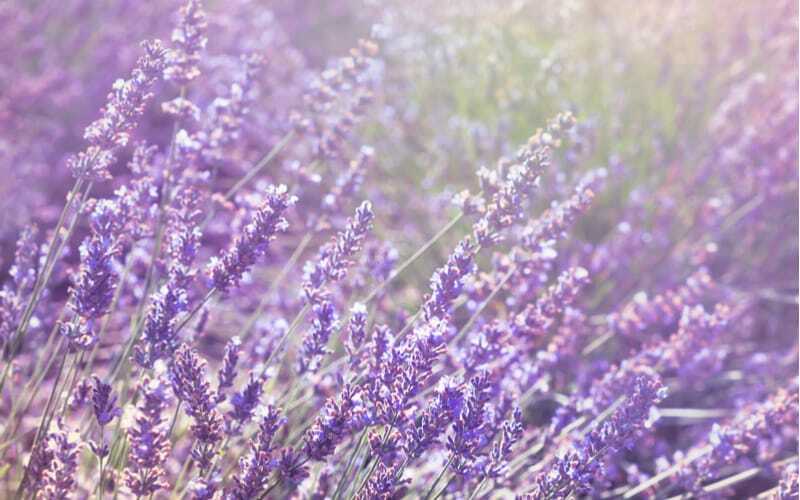 From its antiseptic and anti-inflammatory properties to help treat anxiety, depression and even eczema, lavender has become a key ingredient in our daily lives. Well good news, Olympia. The Evergreen Valley Lavender Farm in Olympia is a stunning and serene four-acre farm in the scenic Evergreen Valley operating as a small boutique that specializes in lavender and its products: fresh and dried flowers, essential oils, hydrosols, bath products, and various lavender-inspired arts and crafts. The farm is also the perfect spot to bring your favorite book and enjoy in one of the many seating areas peppered throughout the lavender fields. The farm grows and sells eleven varieties of lavenders, and visitors are invited to see the on-site distillation of oil. A truly magical and peaceful way to spend your summer day. Combining Washington’s natural beauty with its rich history, the 300+ acres of Priest Point Park offers visitors a delightful setting for a picnic. The recorded history of the park dates as far back as 1848, where it was documented to have played an integral part in the trading and relationships with the numerous indigenous tribes of the area. The entire area was officially donated to the city of Olympia in 1905. Guests have many options for activities and outdoor settings as they stroll through the park. Enjoy walks among the various ravines, cliffs, nature trails, and streams. Set up shop at one of the many areas for picnics, which include tables and shelters. You can even take your kids to the park playground or shoot some hoops on the basketball court. Also nestled inside this 300 acres is approximately one mile of saltwater shore and the Ellis Cove Trail, which takes hikers through the well-preserved forests surrounding the area and provides breathtaking views of downtown Olympia and the State Capitol buildings. If you’re headed on your picnic on a Thursday, Friday, Saturday, or Sunday, be sure to stop at the Olympia Farmers Market for your snacks! Previous post: What’s Driving this Market?